Outfit your office with the highest quality blinds. We boast an extensive selection of fire retardant, blackout, washable and reflective coated fabrics, all of which have been tested to the highest standards. 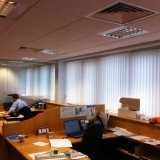 With a variety of specialist fabrics on offer, you can get practical office blinds. They offer practicality alongside offering an elegant and decorative solution to controlling your environment, privacy and visibility. These specialist materials allow you to assist in the reduction of transmitted light and solar heat gain. This became a concern in 1993 when the EC directive No 90/270 EEC became effective. 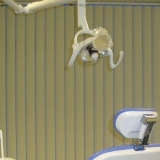 The primary concern in this directive related to ‘glare’ and the use of computers or other sensitive equipment within the office environment, making the solar reduction in blinds essential. See our terms of business. These blinds, as the name implies, are hung vertically but drawn horizontally. This makes them particularly useful in larger office window spaces. 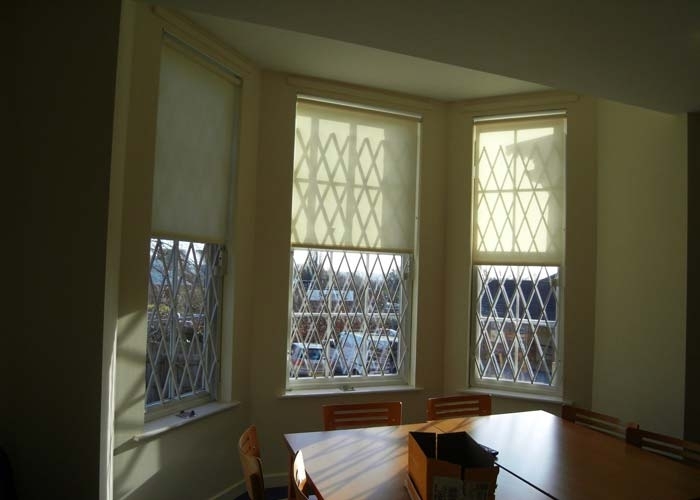 With our bespoke custom-fit service, these blinds can be made to measure, allowing them to fit any office’s requirements. These can be fitted for widths up to 530cm and lengths of 390cm and these can easily accommodate most standard window sizes. Contrasting Venetian, blinds, vertical blinds are not made from just aluminium but are made from durable fabrics. These fabrics can then be applied a number of different treatments, including flame retardant and light reflective properties as well as a Teflon coating to give extra strength and durability. 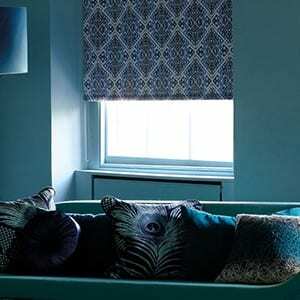 The most versatile and cost effective blinds are the Blue of Cream Vertical blinds. These prove to be immensely popular due to their practicality and cost-effectiveness. 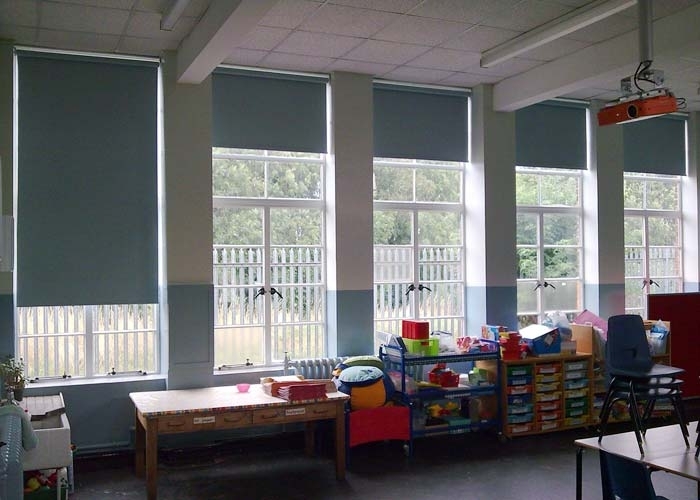 The blinds have the ability to be closed partially or fully opened at the pull of a cord, making them easy and practical. 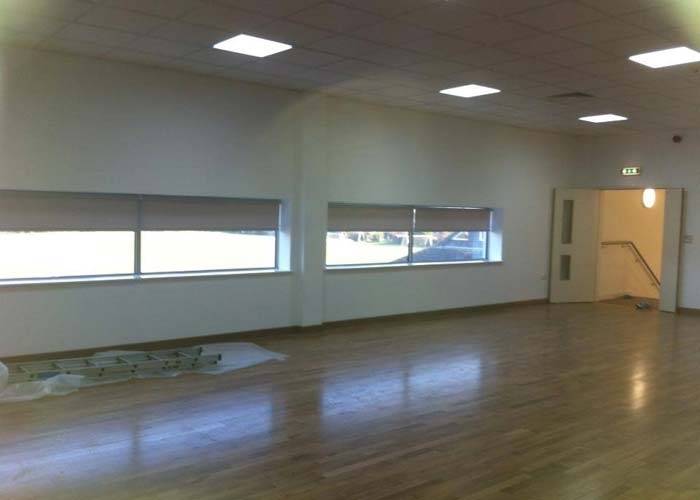 Next are Roller blinds with hundreds of fabrics these commercial roller blinds are the choice of many office designers enabling dim out or total black out. 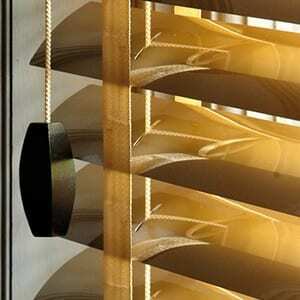 The traditional choice of Venetian blinds are composed of horizontal slats usually made from metal or wood. The choice of materials means there is almost a limitless variety of colours as well as wood effects to choose from when selecting the right Venetian blind. 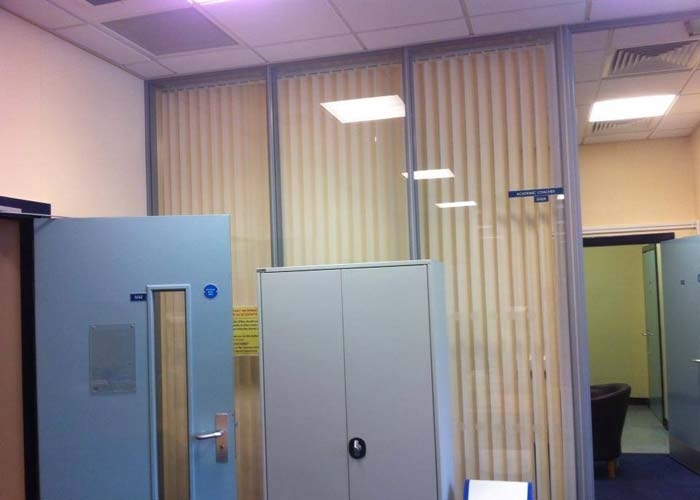 With blinds being available now in a seemingly limitless range of colours and patterns, finding the correct look for the tone of your office has never been easier. For example, if you want to be more creative with your office setting or you work in a creative industry you may look to have a more distinctive set of blinds to stand out. Leicester blinds supplies a huge range of colours and styles in our collection, allowing you to give your office that louder design or to simply give it a splash of colour. We also have a large selection of more subdued pastel and wood effect colours to suit the more conservative office space. Finding a blind that blends in with your office decoration should be no problem at all. 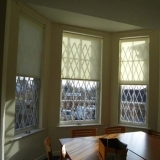 Leicester blinds make sure that your blinds not only fit your style needs but also your functionality needs. 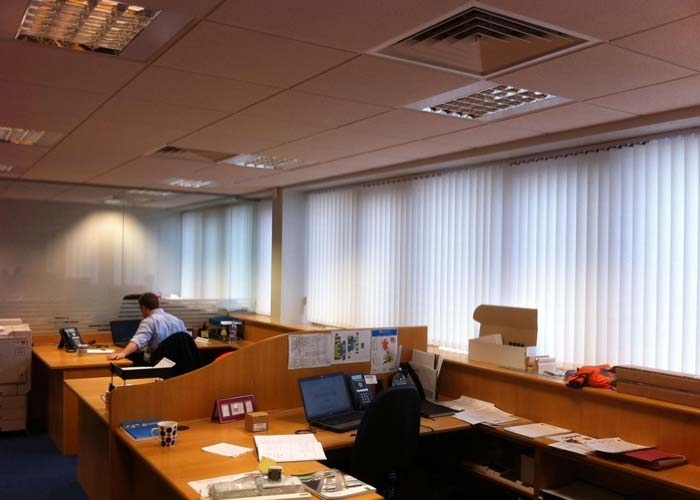 A set of blinds primary purpose is to keep excess light out so our selection of blinds is fitted with the appropriate materials needed to tackle the job specific to your office environment. 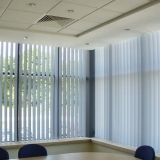 For example, offices that experience constant excess light may require blinds that can remain shut whilst emitting an appropriately subtly glow. Contrasting this are offices where bright light is infrequent, these spaces will require a more flexible design of blind, one that can adapt to the changing levels of light throughout the day. 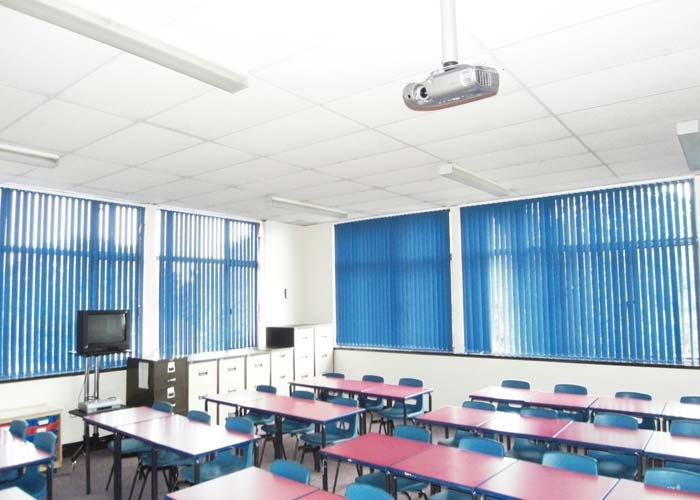 Solid blinds offer the best protection for rooms with a significant excess light problem or rooms where presentations are often held. 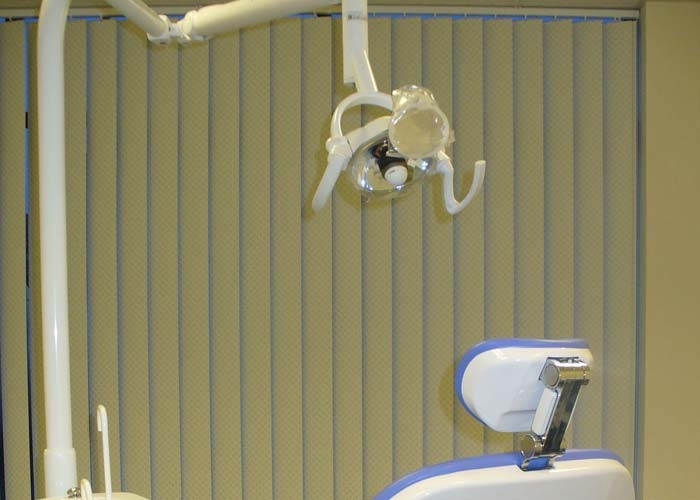 The most complete protection is offered through pleated and roller blinds due to their singular construction. These are, however, less adaptable than other variants of blinds. 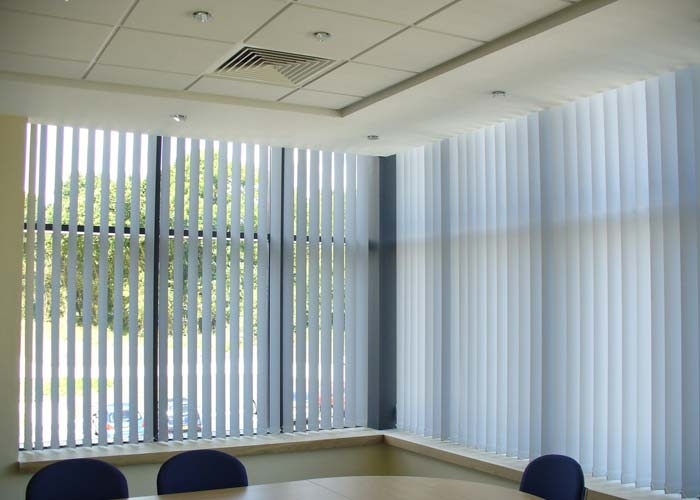 Pleated blinds can help diffract heat and light away, allowing your office to be a cool and shaded environment. Pleated blinds achieve this with their concertina shaped design, coupled with the different kinds of fabric used. 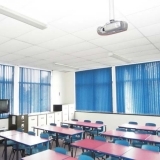 Different fabrics and styles also allow you to achieve different results, such as a blind that could either emanate a warm sunny glow over the office or a complete blackout. 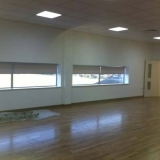 Roller blinds are also available with different fabrics to either radiate a soft light or shut it out completely. 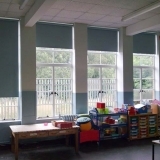 Roller blinds offer a simple yet effective solution. Due to the fact they are constructed from a large single piece of material, they can be easily raised and lowered using a roller mechanism. As the blinds are constructed from a large, singular solid piece of fabric, they possess the greatest capacity for different colours and patterns. 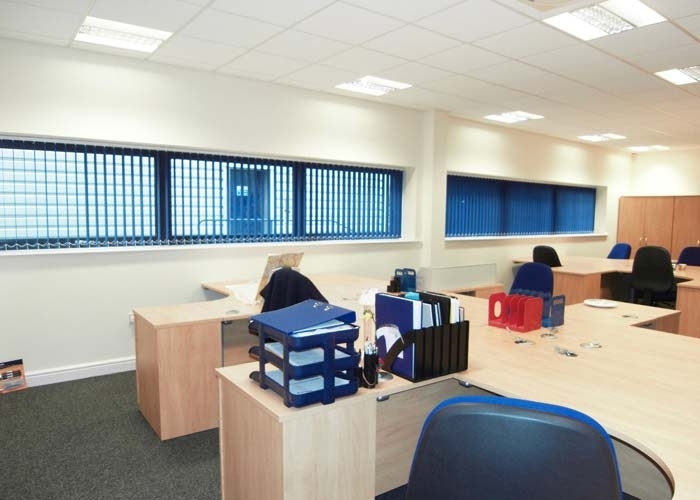 This makes them the ideal type of blinds if your main aim is to create a decorative statement in the office. 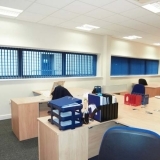 They also allow you to easily maintain your continuity of current office design if adding in a new set of blinds to an existing office space. Like all of Leicester Blinds fabric blinds, the roller blinds and pleated blinds come in a multitude of materials and finishes. 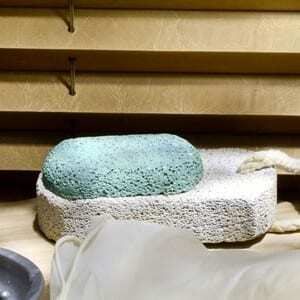 Each different material or finish offers a different array of protective qualities. For example, some blinds come with protective features including head reflection, stain resistance, Teflon coating and flame retardant treatment. This allows complete personalisation of your blinds, starting with dimensions and finishing with the qualities and materials you need your blinds to possess. 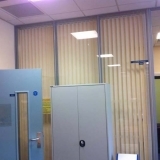 It allows you to get a new set of blinds ideal fit to tackle the individual needs of your office and possess the qualities to last for a long time to come.